In the 1980s Aldrich Ames, a CIA agent, supplied the Soviets with significant numbers of classified American intelligence files – and it was not until after the Cold War finished that he was caught. But Ames was not influenced by ideology – it was something else. Scott Rose explains this Cold War spy scandal. You can read past articles in the series about spies who shared American atomic secrets with the Soviet Union (read more here), and the 1950s “Red Scare” (read more here). Aldrich Ames on the day of his arrest. During the waning years of the Cold War, the Soviet Union received and paid for intelligence from one of the most notorious traitors in American history. Unlike previous American spies who betrayed their country because of communist ideologies, Aldrich Ames did so for another reason: he needed the money. The most ironic component of this case was that Ames was a 25-year veteran of the CIA, working in counterintelligence. His activities led to the executions of several Soviets who were working for the United States, and the resignation of a CIA Director. The effect Aldrich Ames had on the American intelligence community was nothing short of devastating. Born in Wisconsin in 1941, Aldrich “Rick” Ames was the son of Carleton Ames, a college professor, and Rachel Ames, an English teacher at the local high school. In 1952, Carleton went to work for the CIA, and was stationed in Southeast Asia. At that time, the region was a Cold War hotspot, as the communists had taken power in mainland China and Ho Chi Minh’s communist rebels were fighting the French for control of Vietnam. Not far away, American forces were engaged in the bloody conflict in Korea. Carleton Ames had brought his wife and children to Asia along with him, but the family would not live abroad for very long. Carleton was an alcoholic, and his performance was negatively affected. The CIA called him back to the United States, and the elder Ames would spend the rest of his career at the Agency headquarters at Langley, Virginia, in the suburbs of Washington. Aldrich Ames used his father’s connections to land a summer job at the CIA in 1957, and returned the next two summers. He worked as a records analyst, filing documents and performing various office tasks. Ames graduated from high school in 1959, and was accepted to the prestigious University of Chicago. However, he didn’t adjust well to life away from home, and his grades were poor. By the middle of his sophomore year, he was in danger of flunking out of school, so he dropped out and returned to his family. He regained employment at the CIA, working at office duties once again. While working at the Agency, Ames resumed his education, this time at George Washington University. At the age of 26, Ames graduated with a degree in history, and was accepted into the Career Trainee Program at the CIA. He received positive appraisals in the program, and had a blossoming romance with another agent-in-training named Nancy Segebarth. In 1969, Aldrich and Nancy were married, and he received his first assignment, in Turkey. At the age of 28, he was one of the CIA’s youngest agents; in all respects, his future seemed bright. Once Ames and his new wife settled in Ankara, Nancy resigned from the Agency, as the CIA had a rule that married couples weren’t allowed to work from the same office. Ames was given the task of recruiting agents to spy on the Revolutionary Youth Federation, a Marxist group in Turkey. While he was moderately successful, the CIA rated Ames’ job performance as “satisfactory,” and he was so dismayed by the evaluation that he nearly quit the CIA. After three years in Turkey, Ames was recalled to Washington and assigned to the Soviet-East European division. His new task was to recruit informants among workers at the Soviet embassy. Ames was not very effective at recruiting Soviet spies in Washington, but was praised by his superiors for his management and planning skills. The CIA was concerned that Ames was drinking excessively, and noted this on his file in the mid-1970s. However, the Agency felt that given the right situation, Ames would flourish. He was sent to New York in 1976 to manage two established Soviet informants, and did the job well. Ames received promotions in rank and pay increases, but at times, he made careless mistakes that could have become disasters. Once he even forgot his briefcase, which was carrying classified documents, while traveling on the New York subway. Instead of firing or demoting him, the CIA merely gave Ames a verbal warning. He was transferred again in 1981, this time to Mexico City. His wife remained in New York, and Ames had several affairs with women in Mexico. He met a lady named Maria del Rosario Casas Dupuy in 1982. Maria, a Colombian national, worked as an attaché at the Colombian Embassy, and Ames managed to recruit her as a confidential informant for the CIA. Ames was supposed to report any romantic relationships with foreign nationals to his superiors, but declined to do so. His coworkers at the CIA station in Mexico were aware of his relationship with Maria, but did not report it either. In September of 1983, Ames was recalled to Washington once more, and he brought his Colombian lover with him. Unsurprisingly, his wife served him with divorce papers the next month. Ames was now back at the Soviet and East European division of the CIA, and at the end of 1983, he finally reported his affair with Maria to his CIA superiors. His divorce was costly, as he was forced to pay off his and Nancy’s debts. In addition, he was required to pay alimony for the next three years. To make matters worse, Maria was from a wealthy Colombian family, and she expected to live in luxury. Ames, nearly bankrupted by his divorce, was feeling the financial heat. Working in a division that dealt with Soviet counterintelligence, Ames was expected to make contacts at the Soviet Embassy in Washington, just as he did in the 1970s. He knew the names of important officials at the embassy, and decided he would use these contacts to remedy his financial problems. In early 1985, he sold his first trove of information to the Soviet KGB for a price of $50,000. Ames would later state that this information was not of particular importance, but that it established him as a credible source of CIA intelligence. He had entered into an alliance that he could not turn away from; the Soviets expected more information, and Ames wanted more money. In August of 1985, he and Maria were married. Ames’ motivation for betraying the United States began to evolve, from financial need into pure greed. Over the years, the Soviets often targeted Americans who were in over their heads financially as potential sources of information. However, in the case of Ames, he saw espionage for pay as a way to do more than merely keep his head above water; he started living the good life and became addicted to it. For years, Ames had been wearing suits off the bargain rack; now he was wearing custom tailored suits that were more expensive than the ones worn by the top officials at the CIA. He and his new bride developed expensive tastes, with Ames explaining to his coworkers that this was a result of his wife’s family fortune. By the latter part of 1985, the CIA knew something was badly wrong. Soviets who were spying for the United States were starting to disappear, and word began to trickle in later that these individuals had been arrested and executed. During 1986, Ames told his Soviet handlers that in light of these CIA losses, he was worried that he might become a suspect. The KGB by this time considered Ames too valuable to lose, and took steps to protect him. A carefully planned campaign of misinformation was carried out by the Soviets, leading the CIA to believe the mole was at the Warrenton Training Center in Virginia. The United States spent a year investigating nearly 100 people at the facility. Later in 1986, the CIA created a mole-hunt team whose sole purpose was to find the source of the leaks. About the same time, Ames was transferred to Rome, which helped him stay under the radar of suspicion. His drinking increased, and his CIA work in Rome was less than stellar, while he continued to sell information to the Soviets. He was once again recalled to Washington in 1990, being assigned this time to the Counterintelligence Center Analysis Group within the CIA. 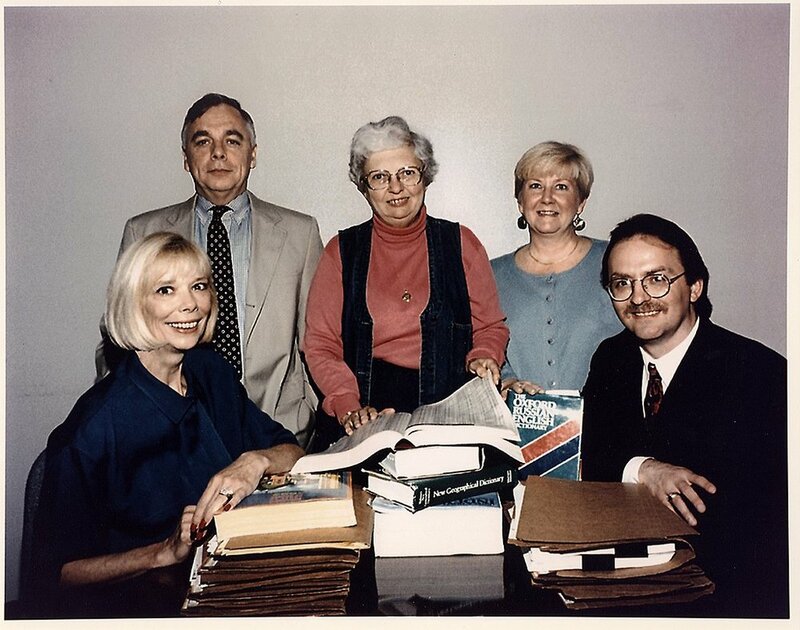 The CIA mole-hunt team, around 1990. The clues finally began to point toward Ames, as the members of the CIA mole-hunt team started to closely examine his finances. He had passed a polygraph test in 1986, which had bought him time. However, by 1990, his lifestyle, when compared to his salary, made no sense. When the CIA team examined this, it found that Ames had bought a $540,000 House in Virginia, as well as a $50,000 Jaguar. The minimum monthly payment on his credit card was more than his salary paid him in a month. Still, Ames was hard to catch. He passed another polygraph in 1991, while a CIA operator incorrectly reported that the mole was a Russian-born agent who had infiltrated the Agency. However, by 1993, all signs pointed to Ames as the culprit. The FBI bugged Ames’ home and installed a device in his car that was used to track his movements. He was kept under constant surveillance as the case was built against him. The Soviet Union had fallen in 1991, but Ames had continued to spy for the Russian Federation, the country that had formed out of much of the U.S.S.R. He was scheduled to attend a conference in Moscow in the spring of 1994, and American authorities decided it was time to arrest him, fearing he might defect if allowed to attend. On the morning of February 22, he was arrested in Washington and charged with spying. The same morning, FBI agents came to his home, arresting and charging his wife also. Aldrich Ames pled guilty and was sentenced to life in prison, with no possibility of parole. His wife had been heard on surveillance tapes discussing Ames’ activities, as he had told her about his role with the Soviets. He had previously told her that he was making large amounts of money on various investments. Maria ended up being sentenced to five years in prison. CIA Director James Woolsey came under heavy fire in the wake of Ames’ capture. Woolsey had only become Director in 1993, but he was criticized for not cleaning house at the Agency after such a fiasco. The CIA as a whole endured heavy criticism for not catching Ames sooner. The movieAldrich Ames: Traitor Within was made in 1998, and the ABC mini-series The Assets, produced in 2014, was based on Ames. Two members of the CIA mole-hunt team, Sandra Grimes and Jeanne Vertefeuille, wrote a book about the experience. Aldrich Ames remains in prison at the Federal Detention Center in Terre Haute, Indiana. He pocketed nearly 3 million dollars from the KGB during his years of espionage. While his CIA career was merely mediocre, he was without a doubt one of most valuable Cold War spies for the Soviet Union. 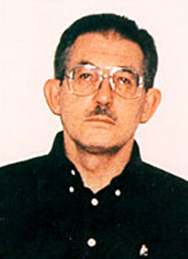 What do you think about Aldrich Ames’ actions?